True story - when I first joined Instagram, I had no idea that I was posting photos for everyone to see. I downloaded the app for the neat photo editing features I had seen people using, and I knew you could share photos, but I thought it would be more obvious when you were doing it (like a "click here for the whole world to see this picture" button). I didn't know that every photo I was editing was being published. So I took a bunch of pictures, applied lots of filters, then logged in the next day and ohmyword, was I surprised by the "likes" and comments on those pictures. Not in the good way, in the Oops, I accidently "replied all" way. In the I'm so glad all these pictures weren't embarrassing or incriminating way. So anyway, I've come a long way since posting ten photos in a row of the same cutting board (thank goodness for the delete button). And now, Instagram is my favorite way to document what's going on in our life. I love looking back on years past and seeing where we traveled, what we ate, and the things we did. 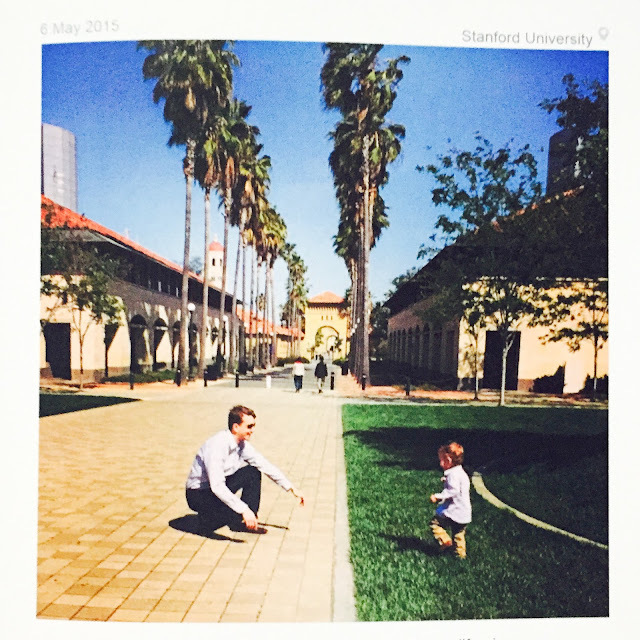 Unfortunately, digital media has replaced printed photos for me. Remember the days when everyone used film? Snapping photos and not even seeing them until they were printed? While I love digital photography, I miss the printed pictures (and I'm all sorts of awful about getting those digital images printed). Enter Chatbooks. 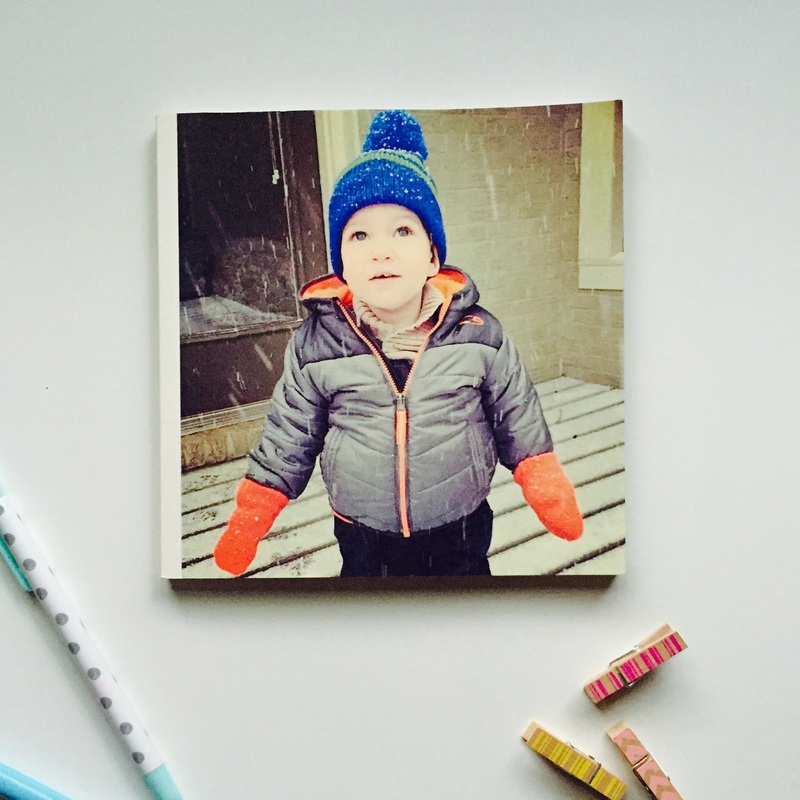 Six-inch by six-inch soft bound books of Instagram photos. Be still my heart, I'm in love. I can finally keep a printed collection of all our memories - and it couldn't be easier. 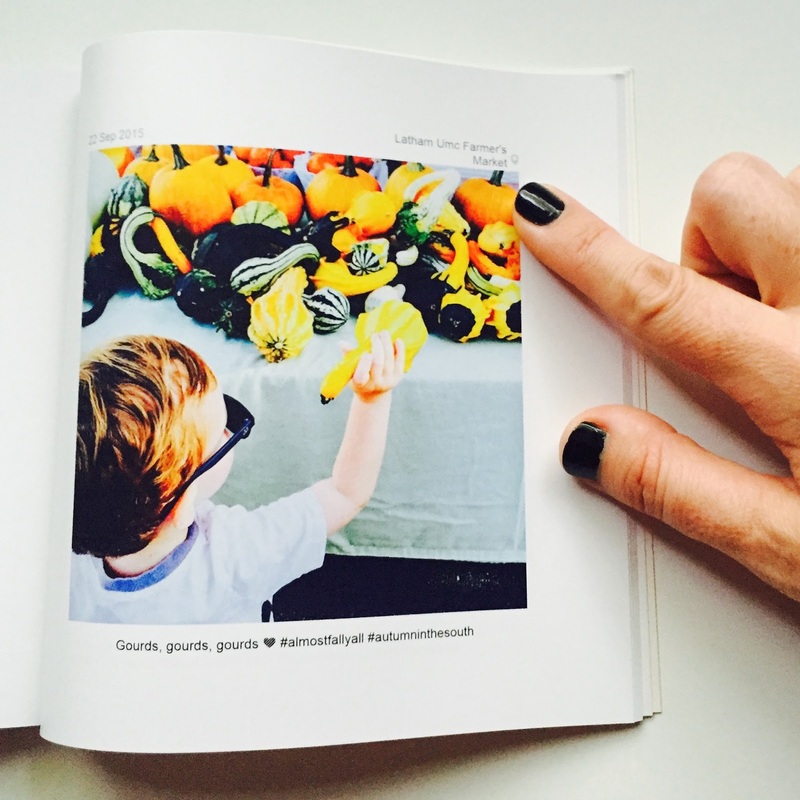 Chatbooks links directly to your Instagram account - no downloading of photos necessary. Just choose the photos you want included in the book, and they will be printed in chronological order. 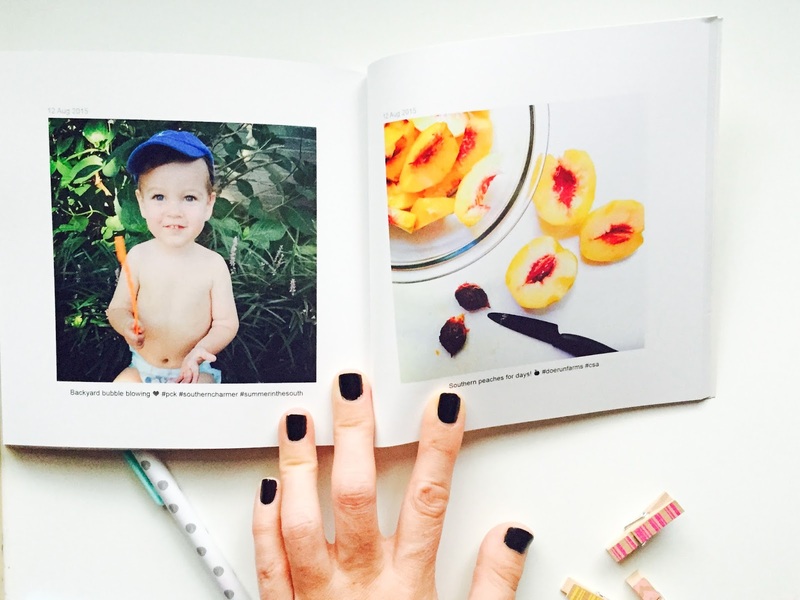 A 60-page book will run you $8 plus shipping. 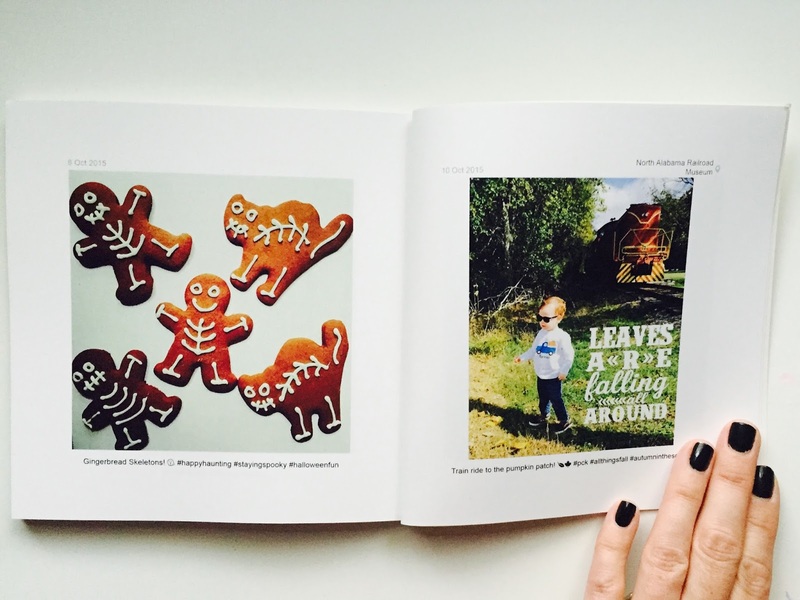 I actually plan on going back and printing all our Instagram memories, but for my first book, I just did February-October 2015 (I think I'll do them all by date like that). Then moving forward, they have a subscription program. Yep, making it literally effortless. 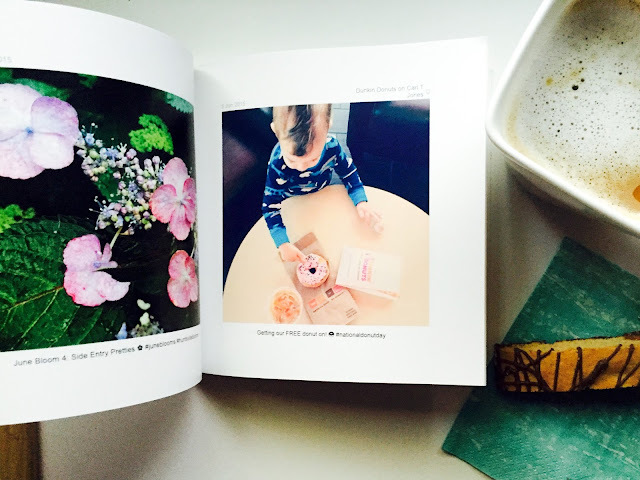 Upload sixty photos to Instagram, and an $8 Chatbook will be on its way to you. Boom. What I especially love is that you can select whether or not to include the date, your caption, and the check-in location if you used one. I selected to include all. The date is printed in the top left, and the location on the right, with the caption below. The awesome Chatbooks crew has gracious offered a $40 gift credit to one of you! I know you will love the service just as much as I do. To enter the giveaway, just comment below with the photo you would put on the cover of your first book. I chose this one of Parker seeing snow for the first time. Magic, y'all. Pure magic. I'll be selecting a winner at random in one week. Happy Giveaway Wednesday! Like my other replies it would probably be a photo of my cute niece:)! I would absolutely love to start these for my two precious granddaughters who are 12 months and 3 weeks apart! I have the most precious picture of the older, Adera, rocking her sweet "baby", Sophia! I keep wanting to try out chatbooks but haven't done it yet. Of course I would have to choose a photo of Ellie. I just recently took one of her in front of our goat barn with all the goats and it's so precious. I think that would have to be the cover! Ever since my little girl was born of have so many more Instagram photos!!! So neat! 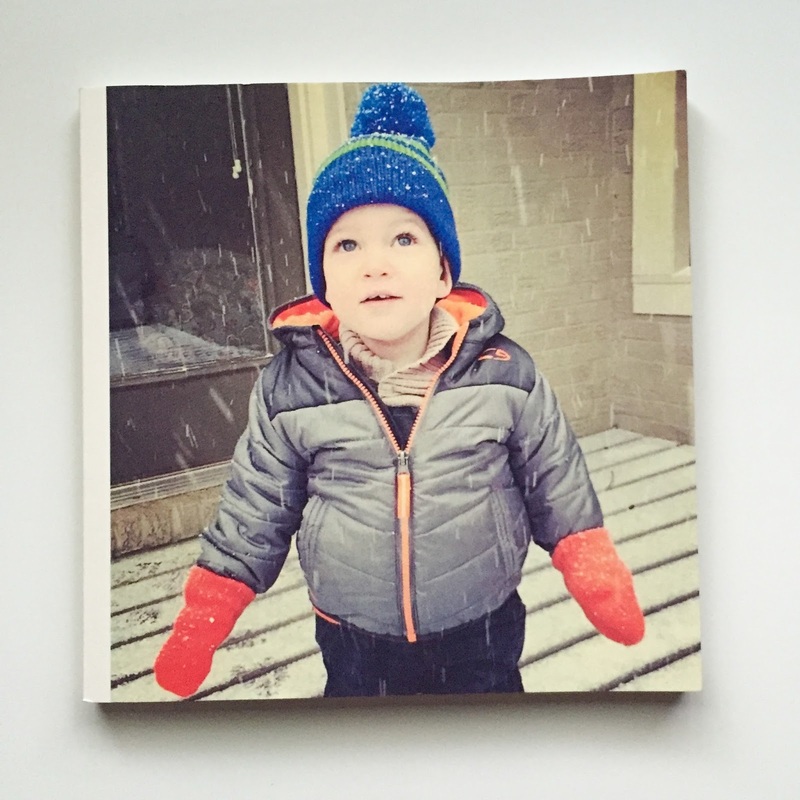 I'm a big shutterfly fan, but this seems easier (and possibly addicting). I'd of course do one of my 3 munchkins. I would most likely put a family photo on the front! Love this idea! Thanks for the opportunity! My three love bugs would for sure be on the cover! Thank you for the opportunity!